Ron’s Amazing Stories is a weekly podcast that features the tales you love. 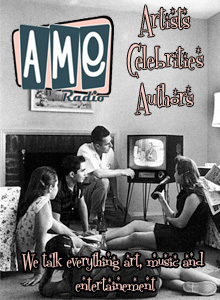 We have classic short-stories from the past, old-time radio and more! You will hear everything from ghost stories to classic science fiction to drama. Do you have a story that you want to tell? Ron will read it on the show or you can come on tell it yourself! Also, we have interviews with authors, radio personalities, actors and even an NBA all-star. Did you know that we are on the radio? We are on every Sunday night at 8pm Pacific. 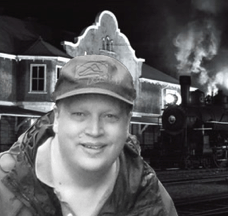 So, tune in each week to find out what are… Ron’s Amazing Stories! HOW TO BE A GUEST ON THE RAS: Do you have a story to tell? Have you written a book that you would like to share? Are you a musician or artist? Ron’s Amazing Stories wants to hear from you and more importantly, the listeners want to hear from you. Please tell us all about you and send an email to ronsamazingstories@gmail.com or click on the contact us tab. We want your stories! HOW TO SUPPORT THE RAS: The cost of putting the podcast out each week is on the increase. With all the new listeners I have had to up the bandwidth and that costs money. If you want to support the podcast you can use the PayPal donate button on the sidebar and give a donation to the show. However, The best thing you can for Ron’s Amazing Stories is to tell your friends about the podcast. Also, post reviews of the show on whatever service you use to listen. These really help bring new listeners to the programming. Thank you for reading this and wanting to help us out! It means a lot.